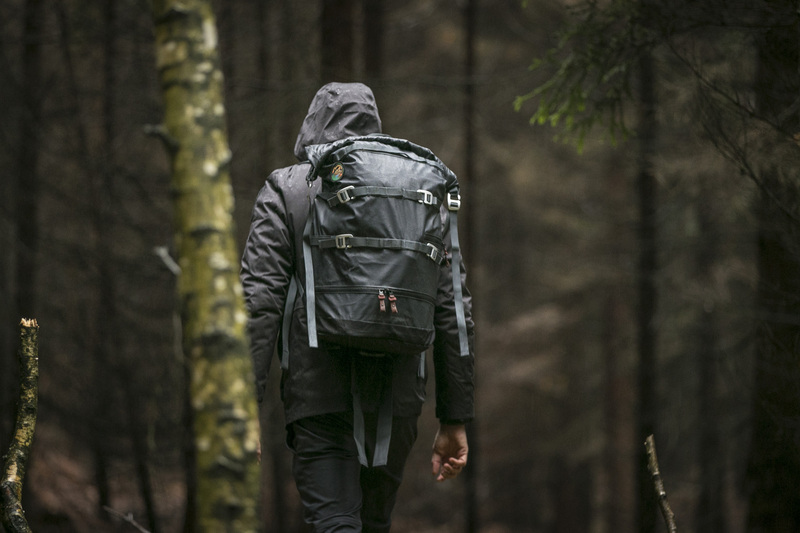 It’s great to see the young outdoor supplies company Poler Stuff expanding their collection almost every month, and one of the newest collections is the High and Dry series. 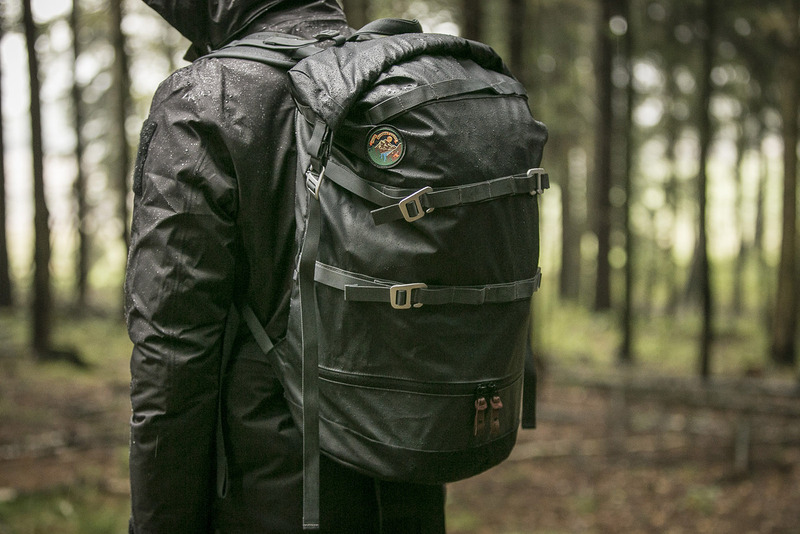 Besides a surfboard bag and a duffel bag, the collection also includes two dry packs, of 20L and 40L respectively, meeting head-on the increasing demand for waterproof day packs. 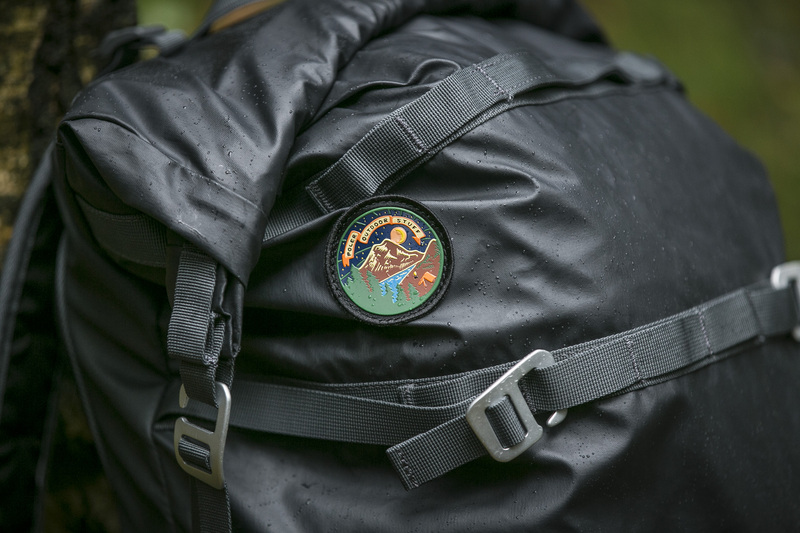 The big brother of the High and Dry Pack 20, the High and Dry Pack 40 is a beautifully designed version of a classic roll-top dry pack. 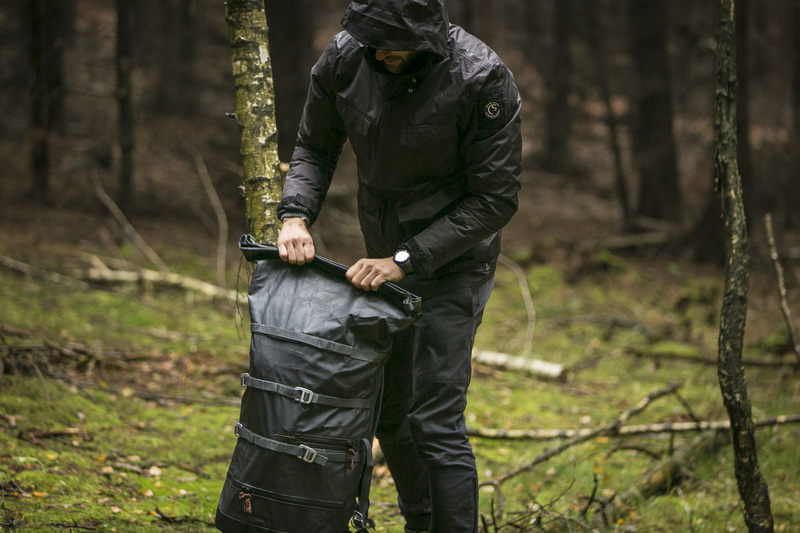 The central component of the pack is a main compartment made from water-repellent 300D Campdura fabric with a classic roll-top opening. 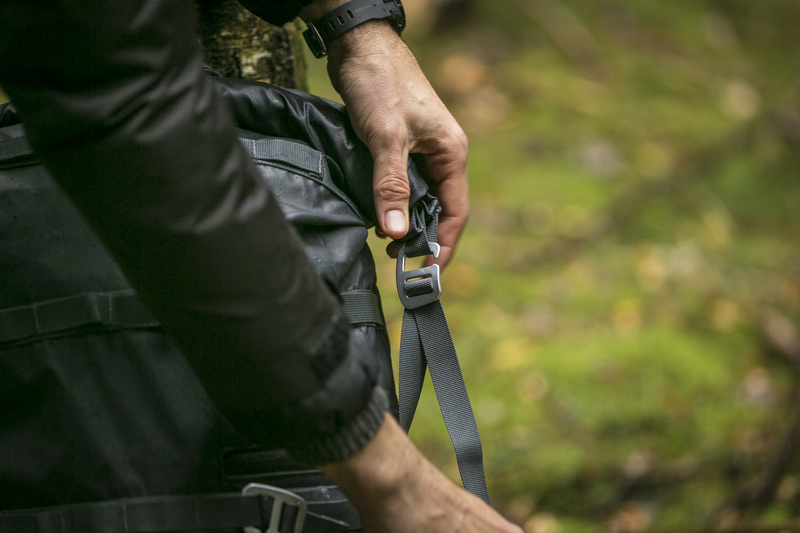 Instead of plastic buckles, Poler Stuff uses aluminium g-hooks. 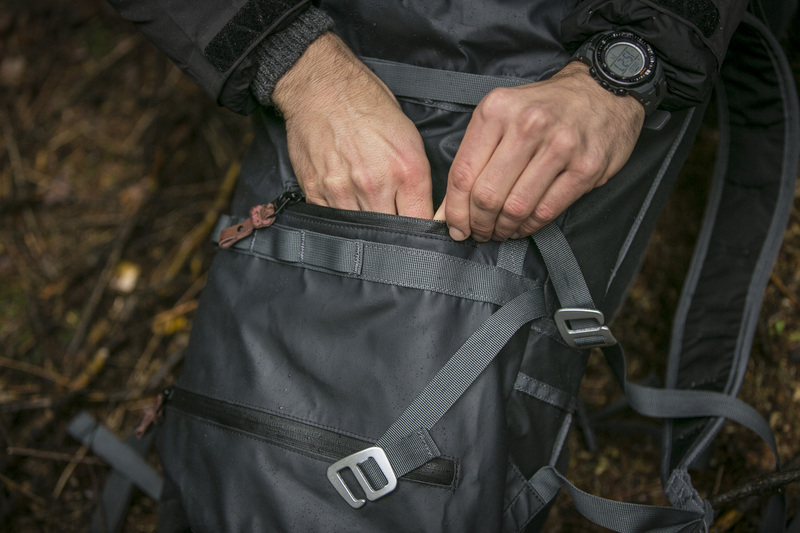 Using the MOLLE system on the front of the pack and the compression straps on the left and right, which similarly use g-hooks, the pack can be compressed down depending on how full it is. 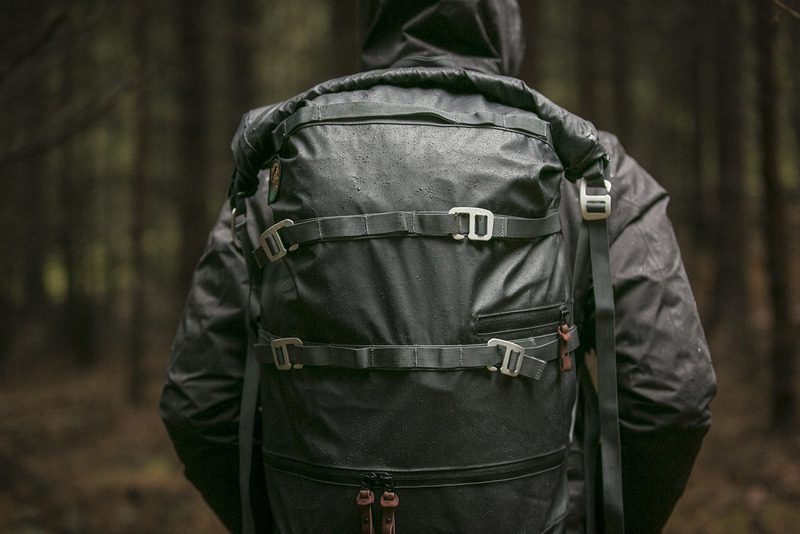 The straps are also perfect for attaching extra clothing, sleeping mats, etc. 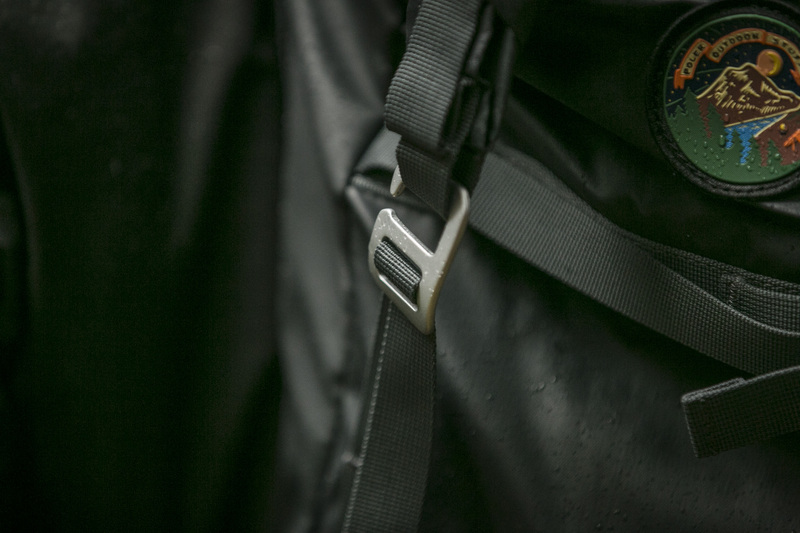 There’s also a water-proof YKK zipper opening on the lower part of the pack that allows easy and quick access to things at the bottom of the pack. 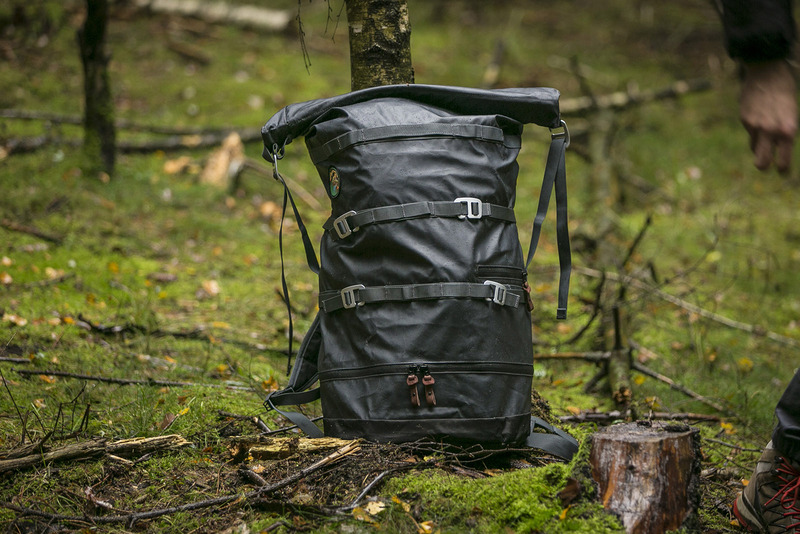 This lower quarter of the pack is specifically strengthened with 600D Campdura material. 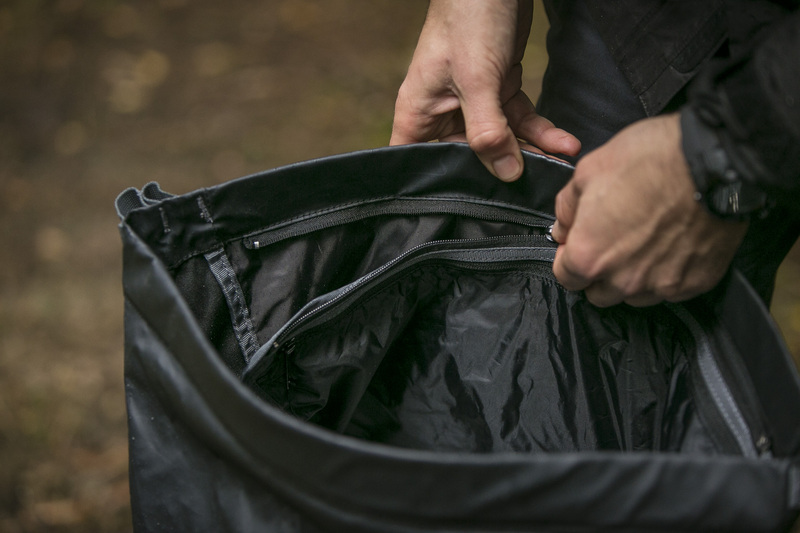 On top of that, there is a small pocket on the front for valuables, also protected by a waterproof zipper. 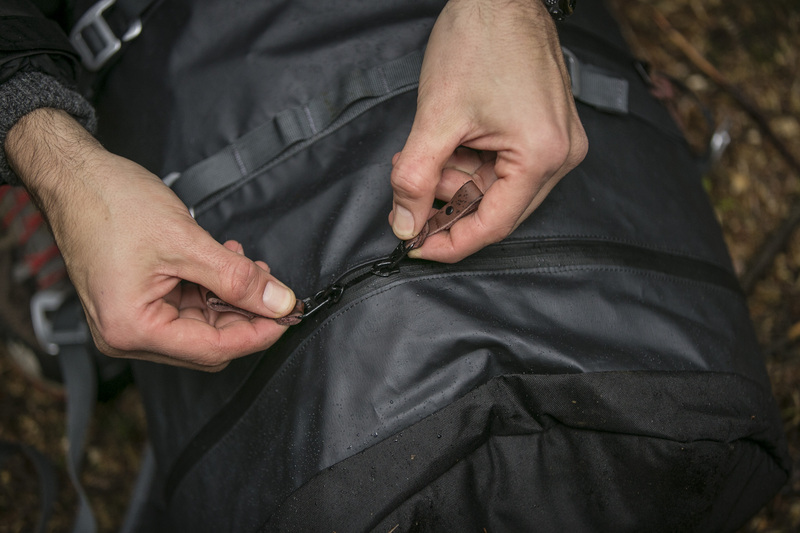 A nice detail are the leather trims on the zipper tabs. 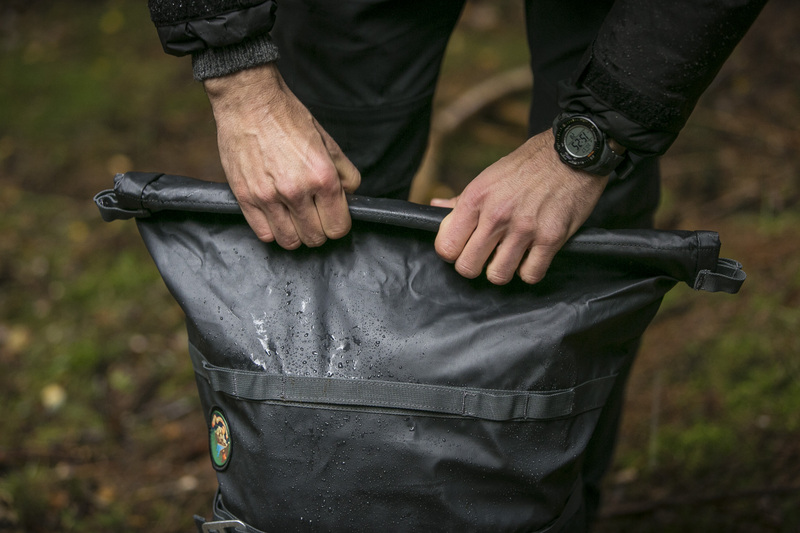 I especially like the idea of integrating an additional dry bag into the High and Dry Pack, which not only stop water from getting into the bag but also prevents moisture from getting out. 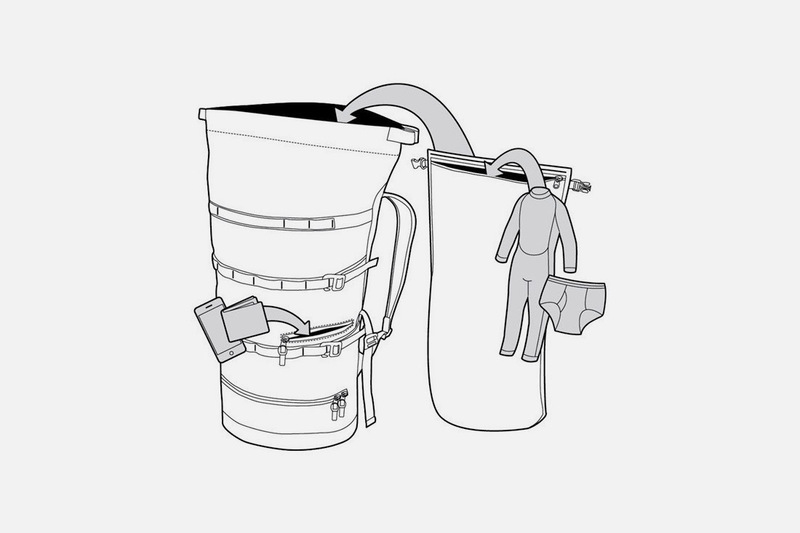 In this way, the pack allows you to transport wet and dirty clothing or equipment while keeping the rest of your belongings dry and clean. It’s a great idea. 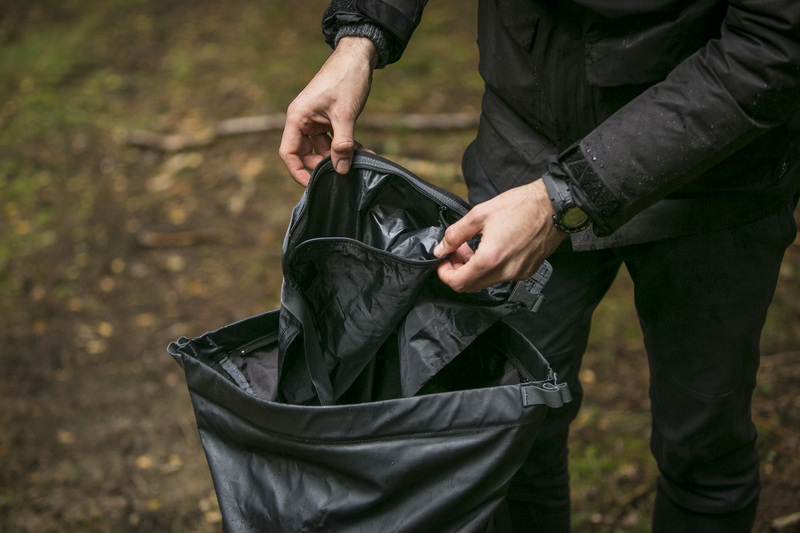 The dry bag can be unzipped from the pack and used as a separate bag. 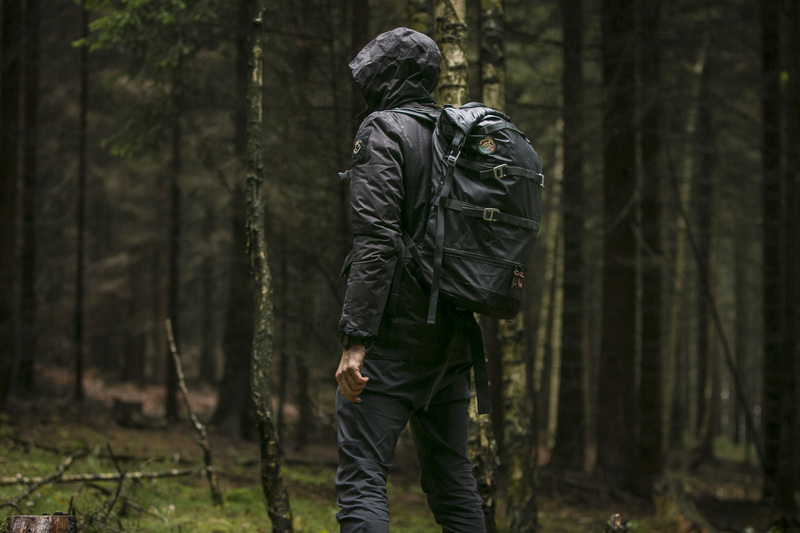 With water-resistant packs, especially packs of this size, the drawback is usually in how comfortable they are to carry. Not the High and Dry Pack 40. The padded back support is very comfortable, the shoulder straps too. You can see on the photos that I packed the pack extra heavily for my test. Still, it sat very comfortably on my back and shoulders. 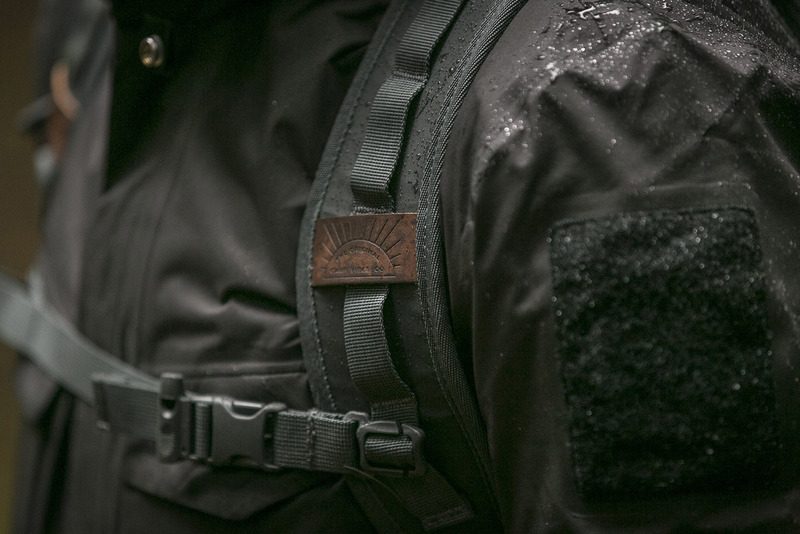 There are also sternum straps, with an integrated whistle buckle, and waist straps to further distribute the load. Both straps are removable if you don’t need them. 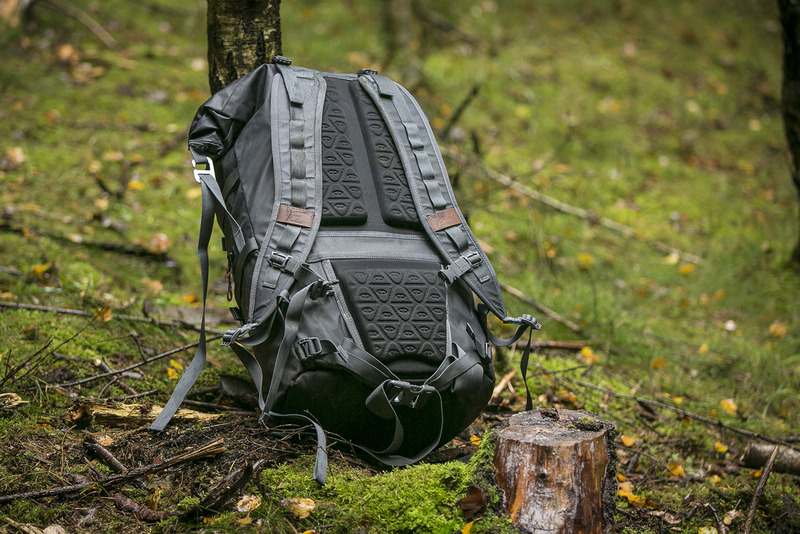 Conclusion: With the High and Dry Pack 40, Poler Stuff has shown that they not only can make nice-looking backpacks but they’re just as versed in more demanding and technical bags. 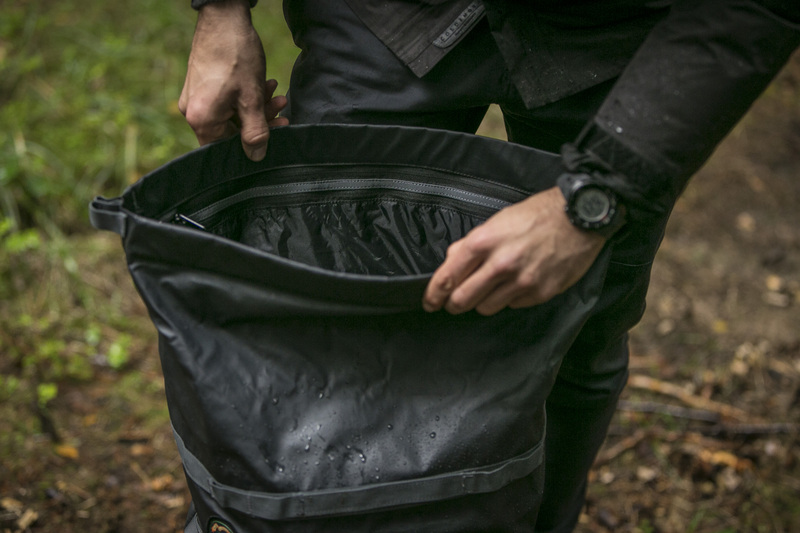 The High and Dry Pack keeps the water out (or in, however you want to use it) and has a flexible capacity thanks to its MOLLE system and accompanying g-hooks. 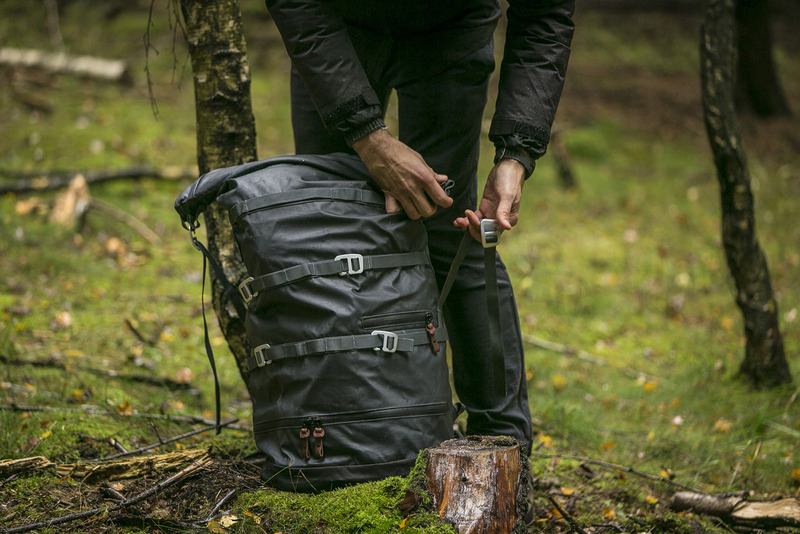 Comfortable to carry and with its cool look, the High and Dry Pack 40 from Poler Stuff is highly versatile and the ideal backpack, and not just for rainy days.